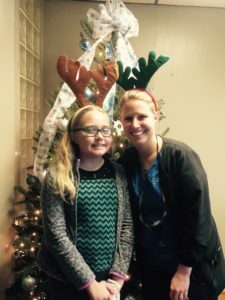 We love our iGrin children’s dental patients! iGrin Children’s Dentistry hosted Live 2 Lead a few weeks ago at Boiling Springs First Baptist in Boiling Springs, SC. We were fortunate to some of the best speakers in the country talk to us about leadership via simulcast. The key takeaway that we took from Live 2 Lead was how to incorporate empathy into our daily work. Young patients especially need loving care and attention. Sometimes as adults, we really can’t understand what it’s like to be a child going to the dentist for the first time. We must display adequate amounts of empathy so that we are able to treat a child with the appropriate nurturing care he/she needs. The first pillar of empathy whether we are demonstrating it to young patients or adults is humility. We need to recognize that our perception of people is often incorrect–sometimes dead wrong–derived not only from our own experiences, but from the stories and ideas passed down to us through our families and communities. We also need to remember that how we feel that particular day colors our perception of what we see going on around us. With all these different fluctuating factors, can we really trust ourselves to make an accurate judgment of others, as if we see what’s really going on holistically? We can’t. Humility is one of the first pillars of empathy—the realization that our worldview is not always right. The second pillar is attentive listening, which we will address next week. Are there certain people or groups of people that you have written off because of your own views? To those that like to think of yourselves as open-minded… Have you ever said something to the effect of “he is so close-minded if he thinks ____”? Is that practicing empathy or asserting your own sense of self-righteousness and “correct” way of thinking?